The simple definition: to send nothing to the landfill. The more complex and accurate description: To completely redefine the system, to move to a circular economy and write waste out of existence. For those of you who enjoy listening to your blog posts, I have recorded this for you. It's a long read at 15 minutes. I hope you enjoy it, and let me know if you'd like me to record more blog posts in the future. There's a more detailed explanation on my about zero waste page. I think I did a pretty bang up job, but there's going to be a lot of supplemental information in this post too. Around the interewebs, I'm seeing people wanting to move away from the term zero waste. I get it. I do. Really. The term zero is probably not the best term. It can be scary. I know. I'm quoted saying as much in an article from the Guardian in 2016. The main complaints I'm hearing is that zero waste is too restrictive or that it doesn't cover enough issues like environmental racism, intersectionality, climate change, carbon footprints, etc. etc. The thing is it's all interconnected, and wanting to live a zero waste lifestyle does in fact incorporate many of those things. I'm constantly amazed how closely environmental and social problems are linked. Recently, I attended the Global Wave Conference with Pela. Twice on the same day in two different sessions, I head people say overfishing is a major problem, but that the problem is exacerbated by slave trade on the high seas. Without labor costs the price of the fish is grossly undervalued. If the price of fish accurately reflected all of the labor going into it, far less fish would be eaten simply because of the higher price tag. This would adjust the supply and demand. I'm not saying it would solve the overfishing problem, but it would certainly be a start. I had absolutely no idea that slavery in the fishing industry was a problem. I don't know enough about it right now, but it's just proving over and over how environmental and social issues are inextricably linked. The other main complaint is perfectioninsm, and how no one can ever be completely zero waste..... um DUH. Most zero wasters have made this point over and over and over again. Zero waste is a goal. It's completely unachievable. The motto of my blog has literally been, "It's not about perfection; it's about making better choices." for years. We're all human. We're all just doing the best we can and that's OK. Here's just a few of my posts breaking down the perfection complex. All of these blog posts talk about the messy side of being zero waste - the non-perfect instagrammable side. Most zero waste bloggers have a very real and upbeat positive attitude woven throughout their posts. They're encouraging you to do the best you can. We're never going to be perfect. We're just a bunch of people trying to have a positive impact on the planet. 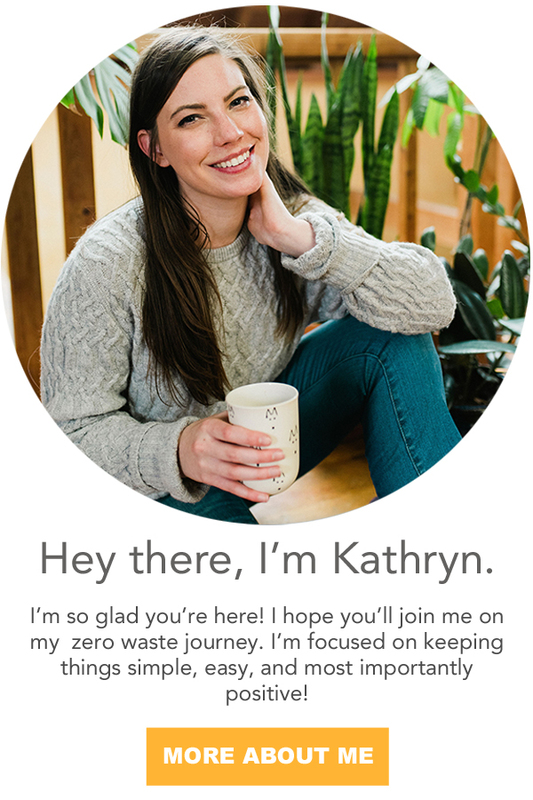 Other zero waste bloggers I recommend Be Zero, Litterless, Meredith Tested, Green Indy Blog, Paris to Go, Zero Waste Nerd, Treading my Own Path, and I'm sure there are more I'm not thinking of off the top of my head. So let's really, really talk about zero waste and the circular economy. how did zero waste start? A lot of people credit Bea Johnson from Zero Waste Home with "inventing" zero waste. While she certainly popularized it as an at home lifestyle, the term was first used in the 1970s by Paul Palmer as an industrial term. Even before that, zero waste happening. We just didn't have a fancy term for it. In fact, zero waste is super unsexy. It's depression era living or just regular living up until the 1950s. No one wasted anything because our consumption levels were vastly different because we lived in a completely different world. Currently everything is globalized. If you haven't read The World is Flat by Thomas Friedman, it's definitely worth checking out from your local library. It talks about globalization and the shift that's happening with technology. If you wanted a new outfit in the 1930s you weren't going to be able to buy something mass-manufactured and made in Bangladesh for $15. No, you were going to buy something made close to you. You might have even bought a pattern to sew it at home. It was going to be something of quality that would last. It would be something that came from your surrounding area. If you bought it from a store or catalogue, the person who made it was paid a living wage. The price of the dress would accurately reflect all of these things. A new outfit in the mid 1930s cost on average $7 which would be the equivalent of spending $130-150 today. Most ethical fashion brands charge around that price point. If every piece of clothing I owned cost $140 dollars, you can bet your bottom dollar that I would be SO picky about what I bought and I would own far fewer clothes. It's probably why the average woman only owned 9 outfits and took much greater care of her belongings. We didn't waste as much simply because we didn't have the means. If your grandparents are still living, talk to them. The thought of buying a product to throw away like paper towels or paper tissues was absurd. They might have adapted now, but it's certainly not the way they grew up. People couldn't fathom spending money on items they were going to throw away. Even if they did have disposables like a brown paper lunch bag, I can guarantee you they carried it back and forth until it fell apart. Grocery shopping was done just like zero wasters do it today. You would go to the store and you would give your list to the store manager. The items you were buying like sugar, flour, cornmeal, and beans were taken out of larger bags and weighed. They would wrap your groceries in paper and you'd take the goods home. This is why you hear funny anecdotal stories of people making cakes and ice cream with salt instead of sugar. It's because the bags weren't labeled. The dry goods were bought in bulk with NO labels. While living low waste, reducing, reusing, and repairing as much as we can is awesome and amazing - it's still not circular. Granted, appliances from the 40s, 50s, 60s, and even into the 70s were meant to be repaired. That certainly plays a huge role in it. It's when we start to get into the 80s that companies realize in order to drive more growth, the products need to be very difficult to repair and that they need to break quicker. The quicker you can break a product the quicker you can make a new sale. It's called planned obsolescence and we've talked about it on the blog before. This is when the problem really started getting out of control. We live in a linear economy, and our earth has finite resources. Basically we take resources from the earth, we manufacture them into products, and then we throw them into a giant hole in the ground. Living this way makes absolutely no sense. We will run out of resources. Resources are valuable. So why aren't we doing anything with them? Of course recycling plays a tiny, tiny role in trying to recover some materials, but it's just not the solution. Products need to be designed with complete absorption back into the manufacturing process. When we resume products back into the system fully, we have what's called a circular economy. This circular economy reflects nature. In nature there is no trash or waste. A "waste" product like poop is actually vital to the system. It provides vital nutrients to plants. Living in a linear economy seemed fairly stable until we started consuming at higher rates and planned obsolescence became normal. Now we're consuming at a completely unsustainable rate. We're currently consuming 1.5 earths worth of resources each year and we have a day to mark it called Earth Overshoot Day. It's the day that we've consumed all of the resources the earth can sustainably produce for the coming year. We hit it on August 2, 2017 and each year the day is moved up earlier and earlier on the calendar. The problem is becoming worse and worse, so what can we do? There are actually a lot of things we can do. First, we can try to live a zero waste lifestyle. A zero waste lifestyle aims to live like older generations. It's using our personal lives and personal consumption habits as an act of rebellion or protest. We focus on buying only what we need. Reusing what we have as long as we can by performing regular maintenance, repairing, opting for non-disposable options when possible, and purchasing second hand. Lastly we focus on recycling and composting. The goal is to try to reduce and reuse as much as possible first. So, before you recycle something, can you use it for something else? Before you compost it can you eat those scraps? Is this a perfect way of living? No, of course not. Does it completely represent a circular economy? No, of course not. We're living in a flawed system, but what it does is challenge the norm. It brings about new ideas and innovations. We tend to forget how much power the consumer has. When enough people stand up and say, "We want circular!!" More businesses are going to start looking at circular solutions. It's amazing how many zero waste or low waste shops have popped up in the last several years simply because the demand is there! Keep demanding change, and change will come. Trying to live more sustainably doesn't have to be rocket science. Just find a few things that work with your schedule. I always recommend people start with the big four. But, honestly just try something new! Once you've mastered one thing, then try another. It takes a lot of time, but with patience and perseverance you can make a huge impact with a few small changes. The next thing you can do, once you feel like you have a firm grasp on sustainable changes you've made in your life, look for a supportive community. It's always easier to enter into activism with a local supportive group. I just wrote a whole post on this subject because it's an important first step when lobbying for big change. Then the next step is working as a local community to apply pressure to local businesses. This will be the next blog post in my series. There's a lot I want to cover here, but it starts with small business. What can small businesses do? Maybe the coffee shop incentivizes the use of bringing your own mug. Maybe they start charging for disposable take away cups, maybe you get the grocery store to put up signs about rethinking plastic bags. Eva from Kind Planet got these signs up in her local grocery store. How cool is that!? It's always much easier to enact change at the local level, but eventually we have to take it to the top to the major polluters like Coca-Cola and Nestle. But, that can't happen until there's more awareness and more people power. In order to get more awareness and people power, it has to start small. Movements don't happen quickly. They happen slowly and take lots of energy and lots of man power. Once there's general unrest, you can start to form policy. The people must first act so policy can react. Once again, this starts at the local level. With California's bag ban, enough counties and cities passed bag bans that it became too complicated. In order to simplify and streamline all of the bag ban laws the whole state decided on one policy. It takes enough people at the local level with their local community to push for change. This happens city and county wide, then state wide, then nationally. Then once the national laws go into effect, this changes the practices of the larger companies and businesses and the smaller business, then it affects the consumer. Then we start the cycle again. For more information on getting involved in your local government, you can read this blog post here. I feel that there is general unrest in the zero waste movement simply because things move slowly. The solution is to go local. We have to be present in our own communities. We have to be working for legislation, influencing businesses, and growing a local community at the grassroots level. Change is coming, and it's all thanks to you! Each and every one of you play a vital role in this movement. It's not about fitting your trash in a jar (that's a media gimmick). It's not about winning zero waste. It's not a competition to see who's the most environmentally friendly, the most vegan, the most sustainable, or the most plastic free. And, not everyone will be able to participate fully at all times. Some may never be able to participate, and that's OK! It's just a whole bunch of people trying to enact change where they can and using their voice to rewrite the system. Using their voice to demand change. Using their choices and purchases as an act of protest. It's not about perfection; It's about making better choices. I leave you with this amazing video about the circular economy. 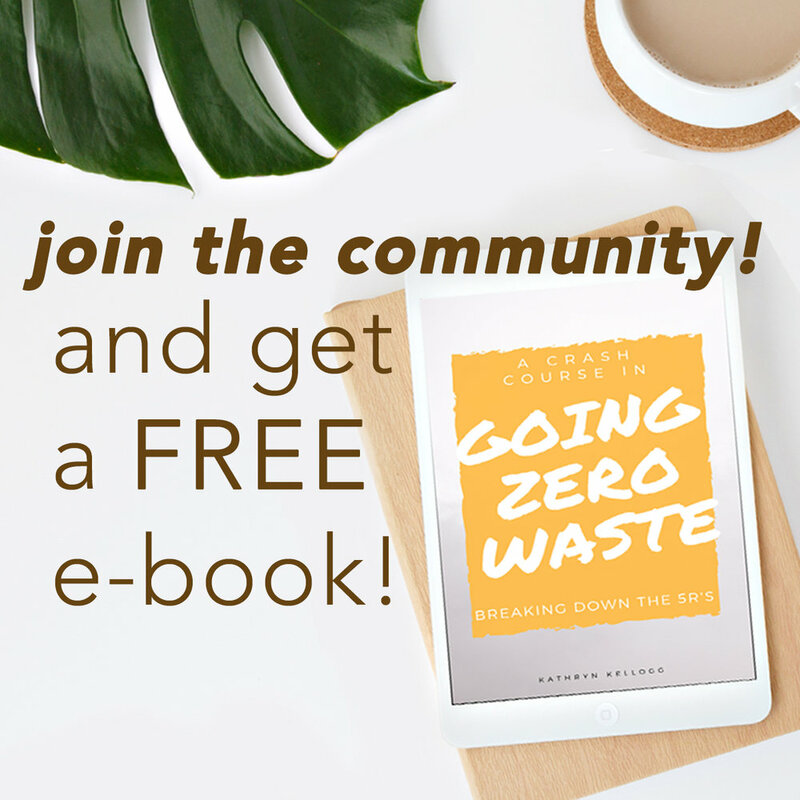 I hope you're inspired and come away with a new passion for zero waste and what it really means.